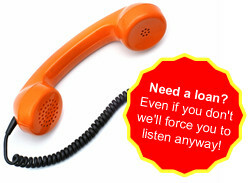 Yesterday, I called my bank (Bank of Ireland) via their automated phone system. Within the 20 seconds they had infuriated me so much, I just had to complain to the girl who answered me. Why? I had a very simple task to complete. I wanted to check a transaction. I wanted speed and convenience. They wanted to sell me a loan. Their needs came first They made me listen to a long advertisement before I could do anything! Listen to the monstrous Bank of Ireland telephone ad (WAV 4Mb) Just like many awful websites, they forced me to follow THEIR narrative, instead of allowing me to create my own. The girl's response? "Oh yes, we have had quite a few complaints about that." I bet you have.